leaves can be eaten raw. leaves are best when young and/or growing in areas protected from direct sunlight. older leaves are best when cooked in several changes of water. young plant, including flower heads can be cooked. roots can be eaten raw when young. roots can be split, dried and roasted to make coffee substitute. 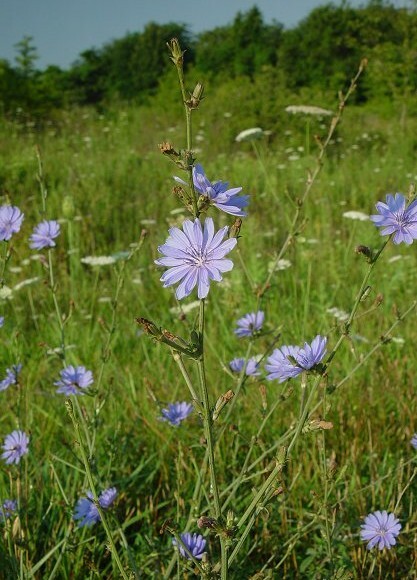 look for chicory on disturbed ground, ranging from plains and foothills to montane regions. warning: excessive/prolonged use may damage retinas and cause sluggish digestion.